Your home's roofing is arguably more important than any other part of its structure, so it's extremely important that you keep it in excellent condition. Your roofing is constantly exposed to weather and the elements, and while it is designed to protect against them, it's also the first part of your home to be damaged by them. Cleaning your roof is an important part of regular maintenance, and if you neglect to have your roof cleaned, serious damage can occur. 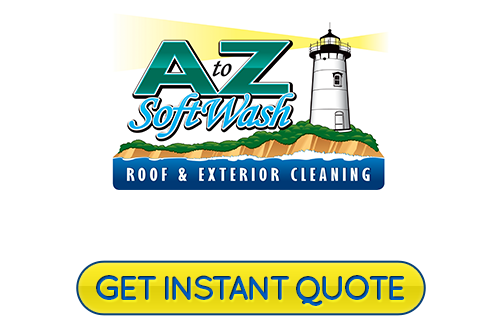 At A to Z Roofing, our Cohasset roof cleaning contractors always provde high quality exterior cleaning services that can help you keep every part of your home in great shape. Our roof cleaning contractors are professionally trained and extensively experienced, and we can handle absolutely any any exterior cleaning job. We work hard to make sure that all of our clients receive high quality service and are totally satisfied with all of the work we provide. We know how important your home is to you and your family, so we always strive to help you keep it in great shape. Give us a call today to schedule your appointment for service, or to ask any questions you have about the services we provide, and we'll be looking forward to assisting you. Many homeowners underestimate the importance of roof cleaning, but neglecting to clean your roof regularly can be detrimental to its health. A dirty roof isn't just an aesthetic problem. While it can negatively effect your home's curb appeal, what's more important is that it can cause serious problems for your roofing. Mold, mildew, and fungus can all grow on your roof if it isn't properly cared for, and they can cause huge problems for your roofing, ultimately diminishing its lifespan. Our Cape Cod roof cleaning professionals will be able to help you keep your Cohasset home's roofing as clean and healthy as possible. We provide the most thorough and effective roof cleaning services possible, and we guarantee your complete satisfaction with all of our work. Washing your home's exterior can help you keep it attractive and healthy at all times. Our house washing services will boost your home's curb appeal while also protecting it from damage caused by mold, mildew, or other growths. 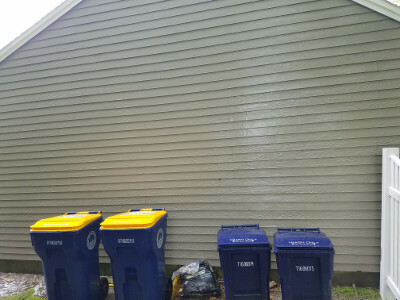 We'll inspect your Cohasset home's exterior, then we'll choose the perfect methods to clean it make sure that it's clean and healthy. 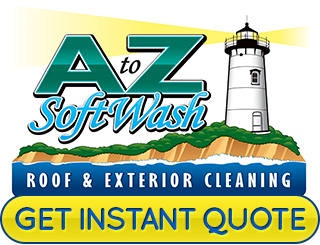 If you're looking for a roof cleaning contractor in Cohasset, call A to Z Softwash at 508-209-7795, or fill out our online request form.